What is a Private Residence Club (PRC) and what should you look for when purchasing one? Is it a high end time share or fractional real estate? What do you need to avoid? A PRC is an ultra exclusive property in the best location in a world-class destination. The Club Membership offers a fraction of the real estate, a management company that cares for the property when you are not there and for you while in residence, and a use agreement to guarantee all Club Members equal access to the property. PRCs are higher-end properties than fractions. Their costs per square foot are expensive and services best described as extreme. Those who purchase PRCs rarely do so because they cannot afford a home in Cabo or a similar destination. Instead they seek an alternative that enables them to buy the time they have to use it, offers the over-the-top services they expect while here and supports their disinterest in maintaining another vacation home. Of course PRCs will never replace wholly owned vacation homes, but more and more the affluent, well educated buyer is considering this alternative. They find this option compelling because they own a piece of deeded real estate with the potential for appreciation, their property can be willed or sold and they enjoy the same tax benefits afforded a second home. Most important, they belong to a private club; they know their neighbors and staff, they know what to expect when they get there. Members enjoy home from the minute they arrive; groceries are in the cupboards, cold drinks in the refrigerator, a snack waiting on the counter. So what should you look for? First, everything about it should be the best; location, fixtures, finishes, furniture. The finest clubs display original art, use fine Italian linens and top of the line cookware and the best appliances made. 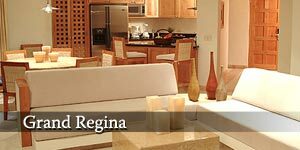 They have state of the art electronics including wireless Internet, plasma TVs, etc. Understand the use schedule. Most of the best Private Residence Clubs have rotating priority numbers and a fixed amount of guaranteed use each year with “space available” use for last minute, unplanned vacations. Renting is not allowed; private residence clubs are exclusively for members and guests. It's important to know how peak times and holidays are allocated. Be sure you understand how many owners are allowed to each residence. Look very closely at the management. What is their background? What properties do they now manage? What services will they provide in advance of your vacation and while you are there? Is there storage for your personal belongings and what form does it take? Next, what is the operating budget? Does it provide for replacements and long term capital expenditures? Does the budget have all the line items you would expect, including a contingency fund? Does what they propose to collect in assessments seem realistic to you? Are special assessments probable? How are sales going? How many have been sold and what are the projections for sell out? Is it a mixed use property? Do they have the ability to change the complexion of the development as they go? These are all things you want to know about the PRC before you buy. In our experience, the Private Residence Clubs that have been most successful over time, having strong re-sale values, have been deeded real estate purchases. Here in Mexico the purchase of a piece of real estate involves a fidecomiso which must be signed in Mexico in front of a public notary. This process ensures that you legally own a piece of property, not a “right to use” or interest in a blanket association. PRCs average 16% in sales/marketing expense, more comparable to whole real estate than timeshare at 47%. * Hence you need not recoup those high expenses and re-sales and appreciating values are feasible. So what do you watch out for? Exercise caution in situations where salespeople use pressure tactics and do not answer your questions completely. Get everything in writing. Question any Club when its agents tell you that they can close your purchase while you are here; weigh the decision. In fact, scrutinize carefully any property that insists that you purchase while here or they will not honor the price later. This may be an acceptable property but it certainly is not deeded. We like several of the Private Residence Clubs currently being sold in Los Cabos. 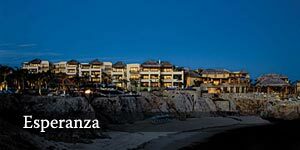 First, Esperanza is a Club consisting of 80 two and three bedroom villas located in the larger resort development of Punta Ballena, just six miles out of Cabo on the corridor. It's affiliated with and operated by Auberge Resorts. Esperenza sold out in 2006 but re-sales are very sough t after. Dream Homes of Cabo has incredible re-sale opportunities there. Please see the complete description of this Private Residence Club. Another unique PRC is Capella in the residential area of Pedregal in Cabo San Lucas. Located on the Pacific Ocean , it is accessible through a tunnel punched through lands end, and includes 20 full ownership homes and 31 fractional villas for sale. The villas are very large and are “Mexican contemporary” in design. 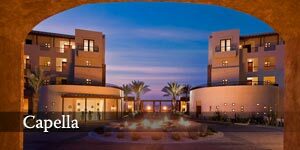 It has great appeal for those who want close proximity to Cabo's restaurants, nightlife and the marina. Fractional ownership in a small fleet of 60 foot yachts can be purchased as a Capella member. Private Residence Clubs aren't for everyone, but they are meeting a distinct need, are gaining in popularity and are definitely here to stay. As with all real estate purchases, we recommend that you work with a knowledgeable Realtor who can assist you with the details of a PRC purchase.